DECA is a co-curricular student organization that prepares emerging leaders and entrepreneurs in marketing, finance, hospitality, and management. 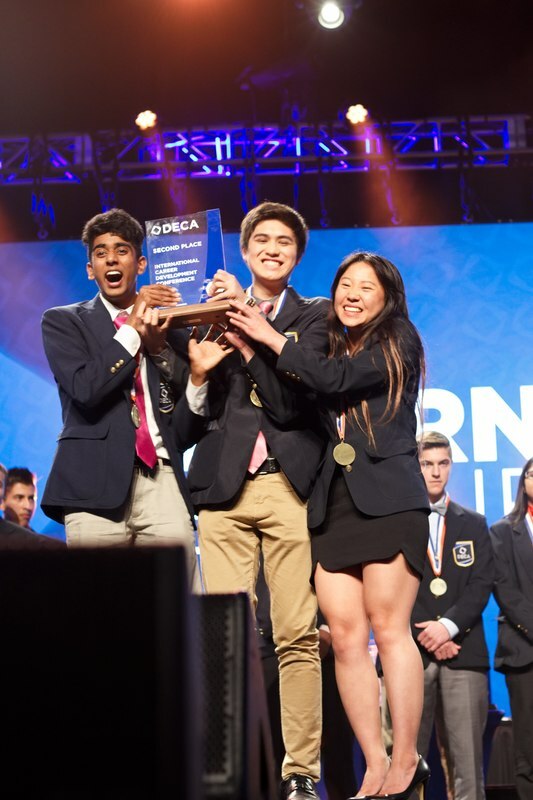 DECA integrates classroom instruction, applies learning, connects to business and promotes competition. With over sixty years of history, DECA teaches high school and college students to be academically prepared, community oriented, professionally responsible, and become experienced leaders. DECA Inc. is 501(c)(3) not-for-profit student organization with more than over 200,000 members in all 50 U.S. states, the District of Columbia, Canada, China, Germany, Hong Kong, Korea, Mexico, and Puerto Rico. Let's Talk About DECA from DECA Inc. on Vimeo.